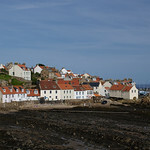 This is the home of the East Neuk fishing fleet with a thriving fish market and harbour crammed with fishing boats. It is well worth rising early to come here and witness the landing of the catch. At the east end of the harbour is The Gyles, an attractive group of 16th- and 17th-century houses beautifully restored by the NTS and boasting some fine examples of Dutch-style gables. 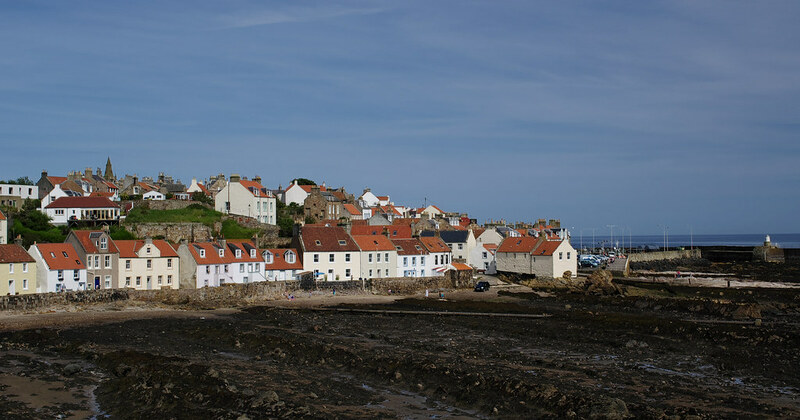 The oldest house by far in Pittenweem is in Cove Wynd, which climbs steeply up to the High Street from the East Shore overlooking the harbour. 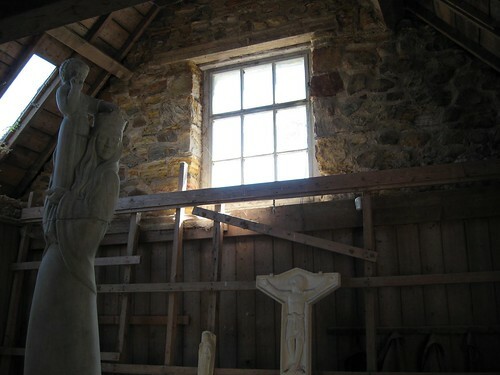 In the seventh century the early Christian missionary, St Fillan lived here in a cave, dug deep into the rock. All through the middle ages pilgrims came to visit the cave. This primitive dwelling gave the town its name, for in the Pictish tongue, the word means 'place of the cave'. To visit the cave, collect the key from the Gingerbread Horse in the High St. Tel. 311495. The pilgrims who visited the shrine received hospitality at the 12th-century Priory, established by Augustinian monks from the Isle of May. The remains can be seen in the Marygate, behind the Episcopal church. Nearby, in the High Street is the impressive 16th-century Parish church and Kellie Lodge, also 16th-century, town house of the Earls of Kellie and an excellent example of vernacular style architecture.